There are few streets more ritzy than the Champs-Élysées. That’s likely why an Apple Store is opening there this fall. At the same time, the company is closing its location in the Carrousel du Louvre, underneath the pyramid in front of this world-famous museum. The Apple Store on the Champs-Élysées will employ the design philosophy used with other locations that have opened recently around the world, with a greater emphasis on education and community than just selling iPhone, iPad, and Mac computers. It will also emphasize using clean energy, trees, and natural light whenever possible. At the same time, the exterior will harmonize with the appearance of the Champs-Élysées. Apple is paying 14 million euros a year in rent. For this, it’s getting several levels of Number 114. The lower two levels will be devoted to retail, while upper ones will be office space. About 200 people will work in the building. 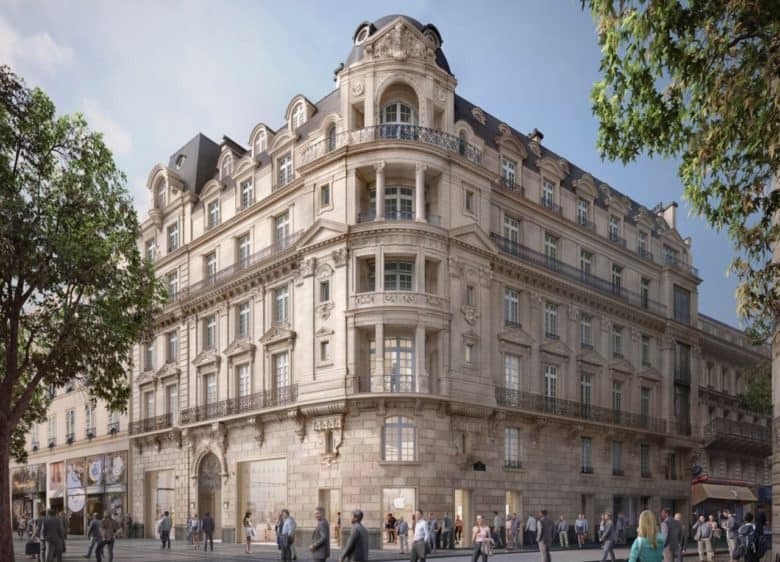 The employees of the Carrousel du Louvre store will be given the opportunity to move to this new location, or the three other Apple Stores in Paris. Apple has been on something of a building kick lately. For example, new flagship Apple Stores opened recently in Seattle and Kyoto. Plus, work is just starting on one in Los Angeles. There are problems in Australia though, and India too.